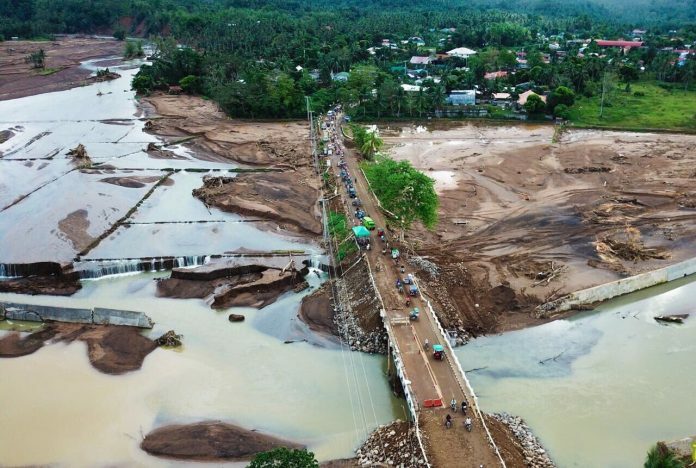 NAVAL, Biliran — The chief of the engineering district office in Biliran said the construction of the new Caray-Caray Bridge will start this year. “Once the 2019 General Appropriations Act will be approved by President Duterte, the construction of the Caray-Caray Bridge will immediately start,” District Engineer David P. Adongay, Jr., said during the PIA Biliran’s “Panginsayod” at his office Wednesday, January 30. Adongay said the project had already been bid-out at the DPWH Regional Office in December 2018, and the winning bidder that will undertake the project was already identified. He further said around P80 million was allocated for the first year of implementation of the multi-year project. The total project cost for the construction of the bridge is around P180 million. “If the construction will start this year, it is expected that the project will be finished in two to three years time as the project contractor is only given one year and six months based on the new DPWH standard to finish the first phase in the construction of the project classified as big ticket project,” he said.